Whether you’re after a bespoke uniform or an affordable workwear rental service, Tibard’s reliable service is here to help. Get the right uniform for your business with Tibard, the experts in workwear. Tibard has been providing restaurants, hotels and facilities in Liverpool with high quality, professional uniforms for over thirty years. We’ve made it easy and convenient for you to choose from a variety of different garment pieces so your staff can have a uniform they’ll feel proud to wear every day. Buying your workwear online from Tibard provides you with many benefits such as having a vast range to choose from and by taking advantage of the various services that we can offer. Our online prices for workwear in Liverpool, the Wirral and Merseyside are so low because we sell high volumes to contract customers and provide these same great prices to anyone on our website. Another great benefit to buying online from Tibard is the ability to reorder from your account which will ensure that you always have quick access to new workwear no matter where you are or how much you need. If you are interested in uniform or workwear embroidery in Liverpool and Wirral then why not find out more about our personalisation service which we can offer on most of our range. This service is ideal for those who wish to put their brand logo, business name or contact details on their workwear products and is something that can easily set your business apart from the competition. Whatever your workwear needs are and no matter how large or small your business is, Tibard are sure to be able to help, if you cannot find the information you are looking for be sure to get in touch with us. We know how rich and diverse the hospitality industry in Liverpool, the Wirral and Merseyside can be. Therefore the right uniform can elevate a business and make you stand out in this rich metropolis. But we also know that uniforms must be comfortable, affordable and functional, this means every product on Tibard website has earnt its place here because of how well it fares as an integral piece of workwear. Uniform shouldn’t just be the clothes you wear to go to work; they should be a staple of the business, something your customers can easily identify as being a representative of your company. Tibard is extremely proud to provide quality uniforms for a litany of institutions in Liverpool, with ease of bulk orders and customer care being among two chief reasons why businesses choose us. However, it’s also the care that comes from our commercial laundry services which promise pristine uniforms every time. We provide our products to anyone who is interested in workwear in Liverpool, the Wirral or Merseyside no matter how large your company is. However, we do offer many bespoke services to substantial businesses who need a large volume of uniforms. 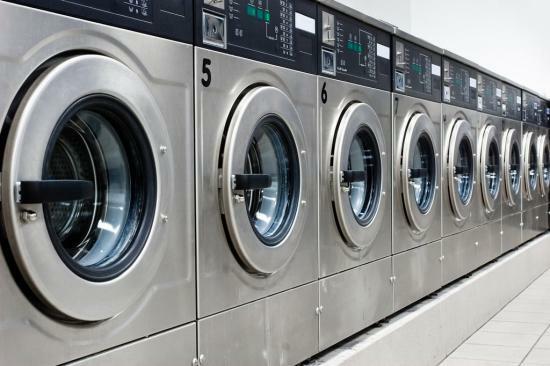 One of our most popular high volume services and solutions for businesses is the rental and laundry of workwear which reduces your capital expenditure on uniforms and keeps them clean all year round. As we manufacture many of our workwear and uniform products, we also can produce bespoke workwear items for your business which are able to match and compliment the look of your brand perfectly. To find out more information about the services that we offer and how we have already helped some the UK's biggest businesses take a look at our services pages and then view our case studies.